Help : The entity type determines the ownership of Application Dictionary entries. The types "Dictionary" and "Adempiere" should not be used and are maintainted by Adempiere (i.e. 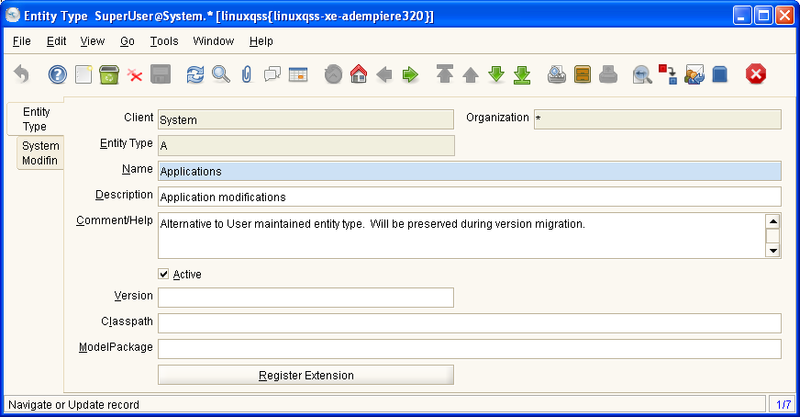 all changes are reversed during migration to the current definition). This page was last modified on 18 May 2007, at 12:53.